Ralph C. Sessa entered the financial services industry in 1991, and has built a reputation that sets him apart from most other financial professionals. His primary focus is to help other professionals, business owners, and families restore balance, simplicity and confidence to their financial lives in a cost-effective manner. His experience is summarized· in the phrase, “planning to obtain maximum wealth potential while minimizing risk.” Ralph’s passion is to help his clients bring order and understanding to their finances which are often wrought with confusion and inefficiency. Ralph is an active participant in The Strategic Coach Program™, an ongoing series of intensive symposiums and private study designed to help business people focus their skills and optimize their time. 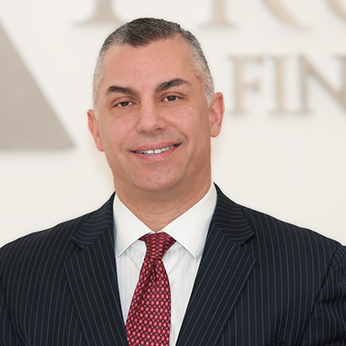 Ralph’s professional credentials and affiliations include qualifying for the Guardian Life Insurance Company’s Leaders Club Group and has made appearances on the radio show WFAS 1230, hosted by Attorney Bernard Krooks of Littman and Krooks. Ralph was a co-founder of the Westchester Advisory Group, which went on to merge with The Aileron Group, Inc. in 2001 to form Opus Advisory Group, where he was a founding member at the firm. Ralph was also a co-founder of the Opus Foundation which has donated hundreds of thousands of dollars to various charities. Ralph, his wife Melani, and their children Antonio, Lorenzo, and Miranda, reside in Upper Westchester, New York, where they are deeply involved in their church through study fellowship and community outreach. In addition to this, Ralph has served as a trustee on the board. In his spare time, Ralph enjoys spending time with his family, playing golf, coaching soccer, lacrosse, and football, and is also an avid snowboarder. Ralph graduated from Iona College with a Business Degree. Since then he has gone on to earn licenses in various fields of financial continuing ed. Registered Representative and Financial Advisor of Park Avenue Securities LLC (PAS). OSJ 17 Lumber Rd Suite 11, Roslyn NY 11576 (516) 334-4900. Securities products and advisory services offered through PAS, member FINRA, SIPC. Financial Representative of The Guardian Life Insurance Company of America® (Guardian), New York. PAS is an indirect, wholly-owned subsidiary of Guardian. Truvium Financial Group is not an affiliate or Subsidiary of PAS or Guardian.